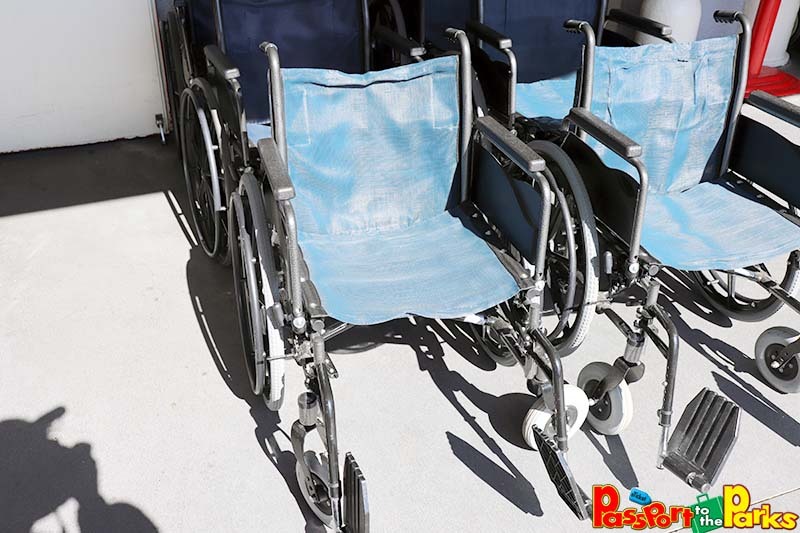 Many people traveling to Walt Disney world are in need of mobility assistance. 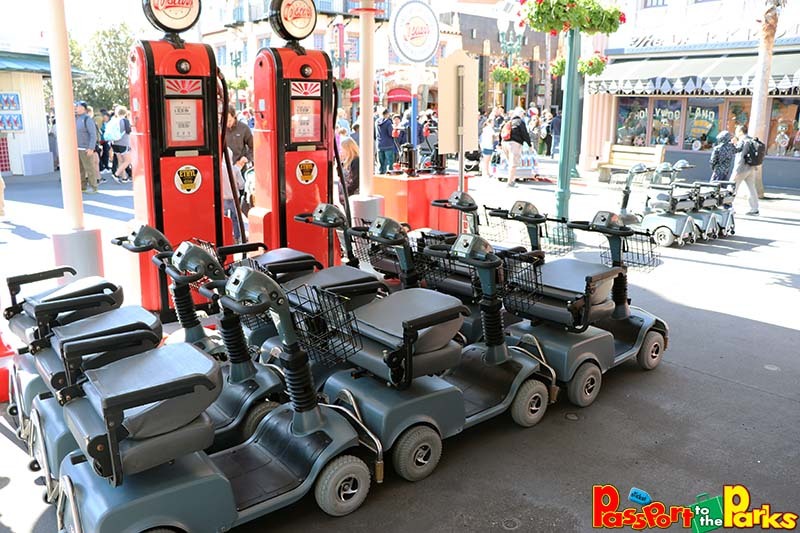 Disney makes it very easy for guests to rent strollers, wheelchairs and Electric Conveyance Vehicles (ECVs) within the theme parks, water parks and Disney Springs. Many guests have questions about the rental process, pricing and park hopping ability, so here is all the information you will need to make the process quick and easy on your next vacation. 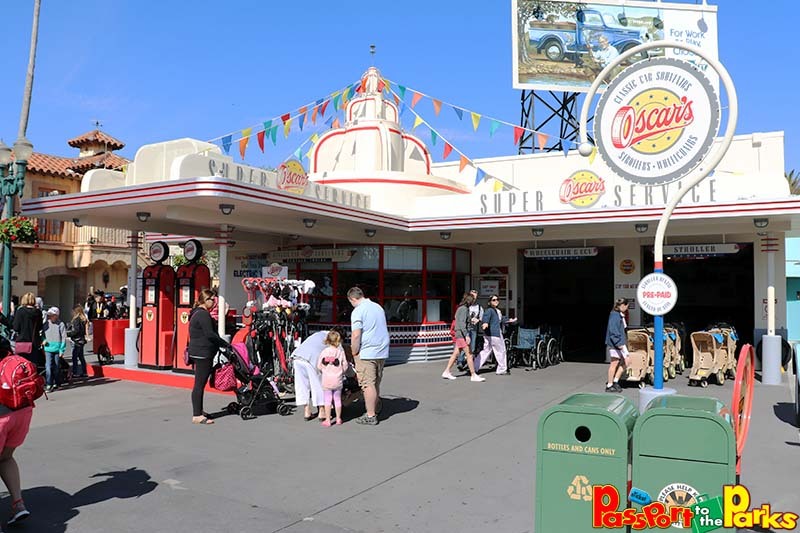 Oscar’s Rentals at Disney’s Hollywood Studios is a fun full service old time filling station, that just so happens to rent mobility. All strollers, wheelchairs and ECV’s are available on a first come first serve basis. Reservations are not accepted. Single: Cost is $15 per day ($13 per day with multiple day rental). Recommended for children up to 50lbs. Double: Cost is $31 per day ($27 per day with multiple day rental). Recommended for children up to 100lbs. A $100 USD refundable credit card deposit is required for strollers rented at Disney Springs. Strollers are not available at Disney Water Parks. Guests can pre-pay the number of days that you will require a stroller. You will save money if you purchase a Length of Stay rental ticket for multiple days. You will be given a receipt that you may present at any rental location to receive your stroller for the day. 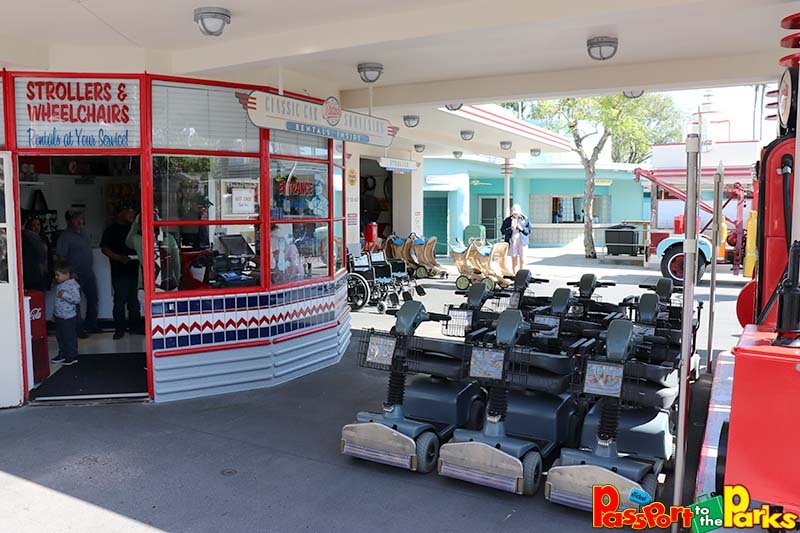 Strollers should be returned to the rental location before exiting the theme park. 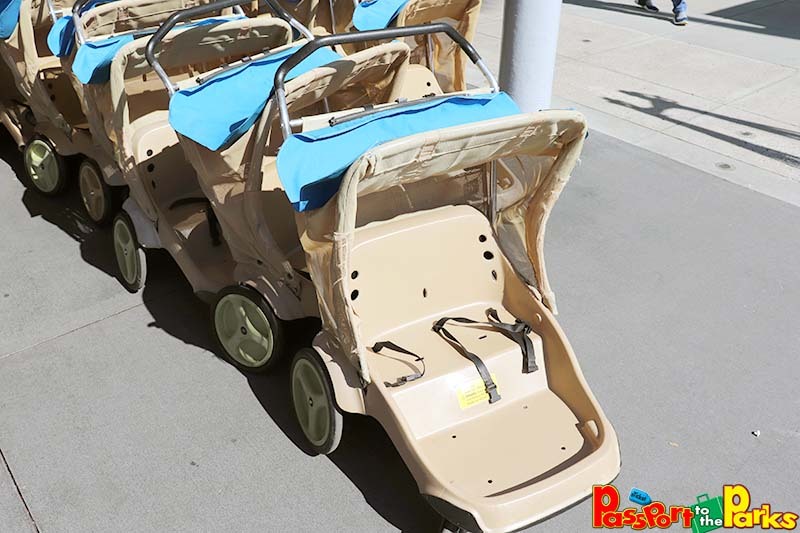 Guests that park hop may present their receipt at each park to receive another stroller. Strollers are not permitted to travel from park to park. 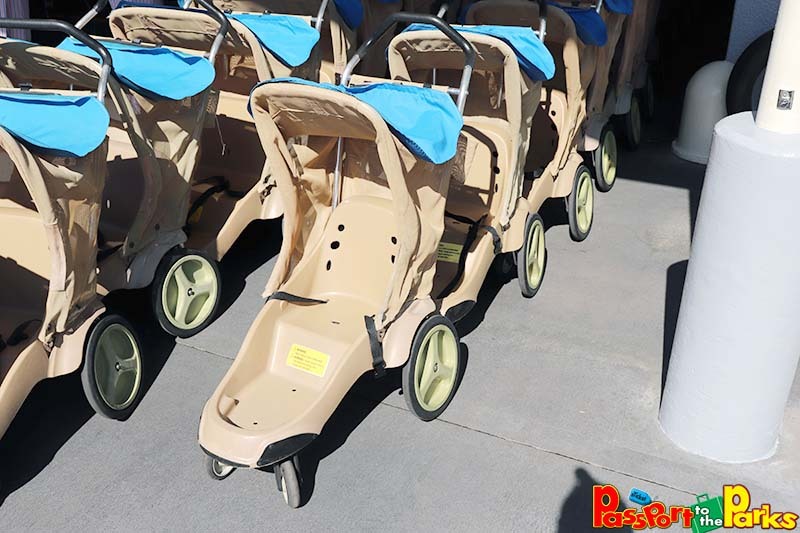 If you misplace your stroller, replacements are available with a receipt at various locations throughout the resort, based on availability. 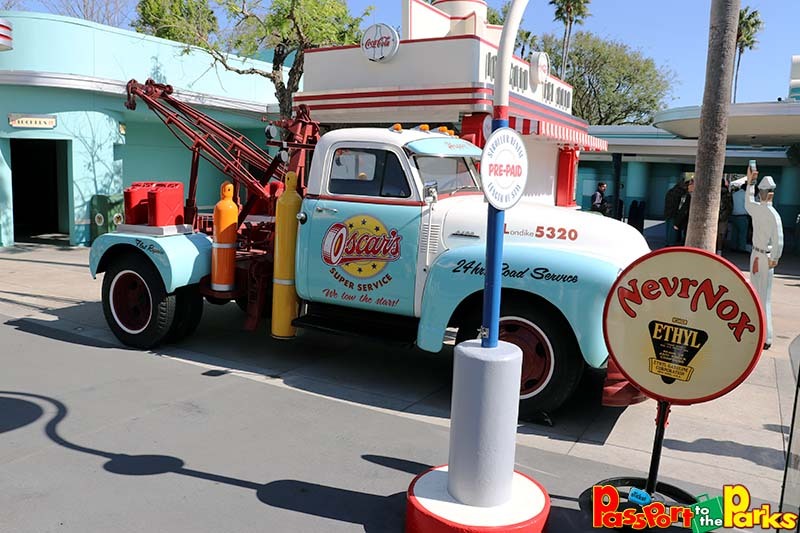 Oscar’s tow vehicle. Great picture spot. A $100 USD refundable credit card deposit is required for wheelchairs rented at Disney Water Parks and Disney Springs. Guests must be 18 years of age to rent wheelchairs. Wheelchairs are available on a first-come, first-served basis. The maximum weight is 350 pounds. Wheelchairs are not designed to hold more than one person. Wheelchairs may not be removed from the destination where they were rented. When exiting your location, simply return your wheelchair to the rental counter. If you’re at a Disney water park or Disney Springs, your deposit will be returned at this time. When you visit your next destination, present your rental receipt to secure another wheelchair, if available. Guests can pre-pay the number of days that you will require a wheelchair. You will save money if you purchase a Length of Stay rental ticket for multiple days. You will be given a receipt that you may present at any park rental location to receive your stroller for the day. 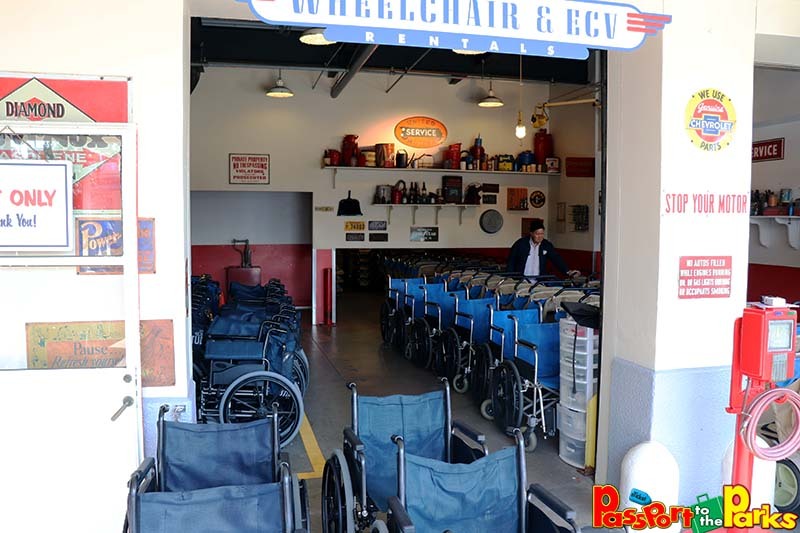 Note: Courtesy wheelchairs are available for those guest requiring assistance from their vehicle to the rental location and also in return to their vehicle. Plenty of mobility available., but make sure you arrive early on peak days. A $100 USD refundable credit card deposit is required for EVC’s rented at Disney Water Parks and Disney Springs. Guests must be 18 years of age to rent EVC’s. EVC’s are available on a first-come, first-served basis. The maximum weight is 450 pounds. ECVs are not designed to hold more than one person. ECVs may not be removed from the destination where they were rented. When exiting your location, simply return your ECV to the rental counter to receive your deposit. If you’re at Disney Springs, your deposit will be returned at this time. If leaving one theme park and visiting another, present your rental receipt with your deposit to secure another ECV, if available. We hope that this will help you during your planning stages for your next trip to Walt Disney World. Disney Cast members are amazing and will do everything to make your visit as pleasant and stress free as possible. 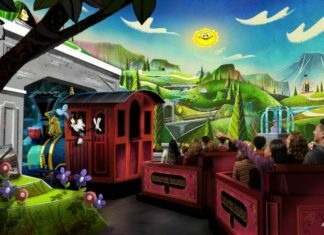 Make sure to follow PASSPORT TO THE PARKS for more information and fun!